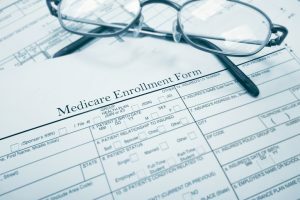 How Will Workers’ Comp Affect My Medicare? If you’re on Medicare, you may be concerned about how a workers’ compensation claim might affect your benefits. While they do affect each other, the good news is that the two systems are designed to work together to ensure that you are being covered during your treatment. Often, there is a fairly lengthy gap between the time you start receiving treatment and when your workman’s comp benefits kick in. However, you will still be responsible for the costs of that treatment. Medicare is not allowed to cover medical bills that should be covered by workman’s comp within the first 120 days of your case. This means that the upfront costs of your treatment will have to be paid out of pocket until your workers’ comp comes through. So what should I do if I can’t afford to pay those upfront costs? Those upfront costs are definitely not in everyone’s budget. So what’s the solution? Medicare offers something called “conditional payments.” This means your medicare covers the upfront costs of treatment; however, when you receive your workers’ comp settlement, you will have to pay medicare back for those expenses. If you want to set up this kind of arrangement, you or your lawyer will need to tell your recovery contractor. You may also want to set up a Workers’ Compensation Medicare Set-Aside Arrangement (WCMSA). A WCMSA is not required; however, they can make paying back medicare easier. If your workman’s compensation claim is denied, you need to show proof of denial to medicare. After you have proven that you will not be receiving workers’ comp benefits, medicare will cover all typically covered expenses. Medicare is designed to make sure that your expenses are being covered. If you have any questions, or feel like you aren’t receiving the benefits that you deserve, contact one of our experienced attorneys for a free consultation.